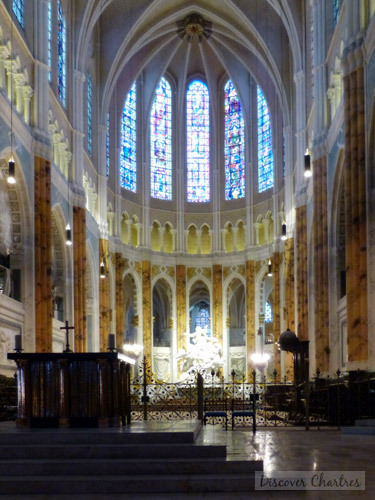 After discovering what we see inside Chartres cathedral in the central nave and the aisles, now we move on to the eastern side of the cathedral - the choir and the chapels. Just a few steps forward to the east from the nave central, you should see the transept with both rose windows on the north and south side. 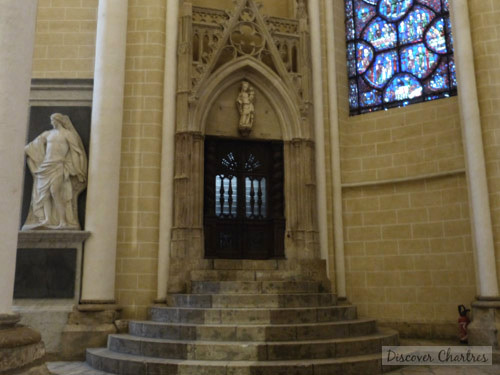 The transept also leads to the portals on each side, which is, on the south side, another entry door to the cathedral. 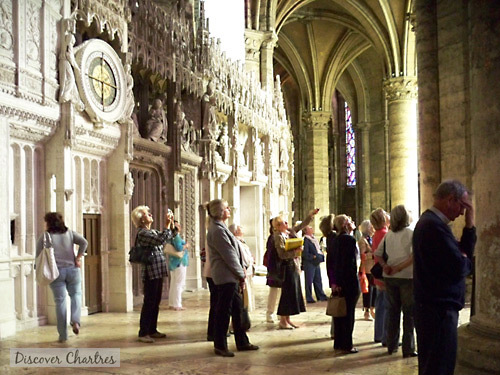 If you stand beneath the crossing of the transept, the altar and the choir are just in front of you! King Henri IV had been crowned here in February 26, 1594. To commemorate the coronation, Chartres celebrate the event on Weekend Henri IV in every last weekend of February. 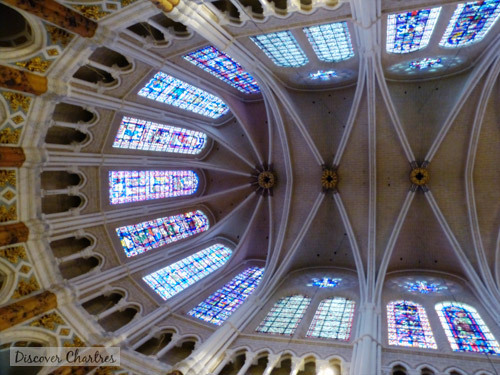 Remember to keep you head up and see the magnificent details of the choir. Please pay attention that visitors are forbidden to step forward into the altar to get closer to the statue. 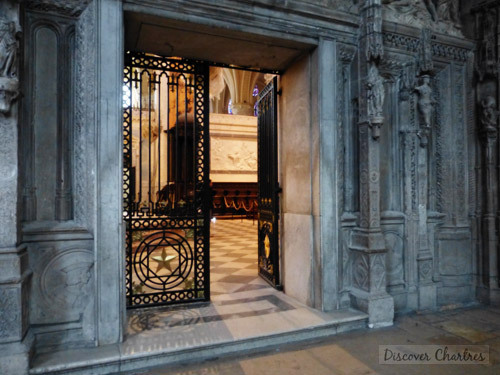 You should go around to the ambulatory instead where you will find two entry doors on the north and south side which we re plugged in the chancel screen. The chancel screen (aka rood screen or jube) was first built between 1230 and 1260 then was demolished in 1763. The new chancel screen as you can see today was built at the end of 18th century. 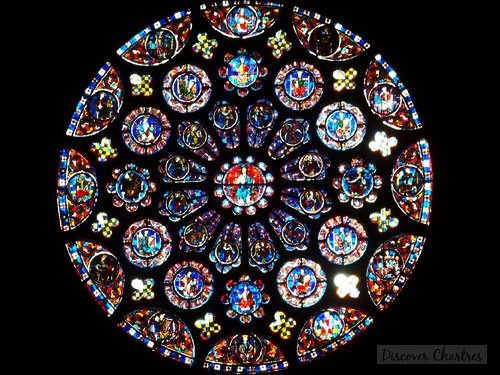 The chancel screen of Chartres cathedral carries 40 frames which tells story about the life of the Lady Virgin and her son. 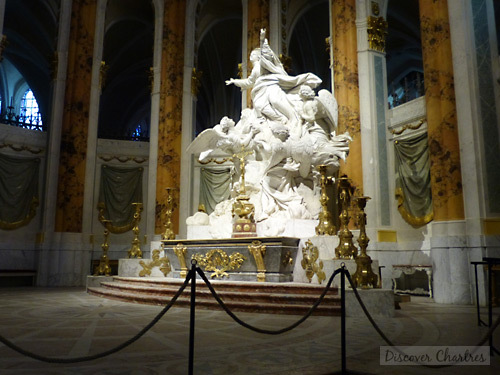 The sculptures became the greatest reference of French religious masterpieces in 16th to 18th century. You should read the stories from south to the north side. 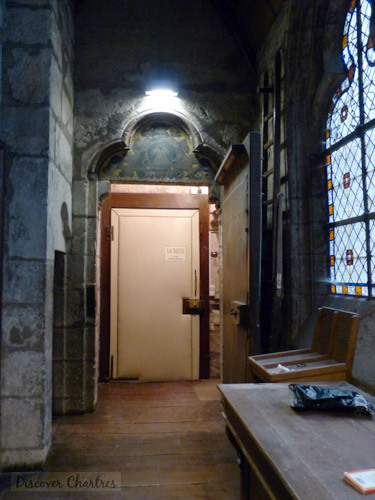 Seven chapels stands along the ambulatory including three apse chapels - chapelle du Saint Coeur de Marie, chapelle des Confesseurs and chapelle du Sacré Coeur. These three chapels were built above the Romanesque chapels in the crypt. Next to the axial chapel of Sacré Coeur, is the Saint Piat chapel, which today is closed to public. 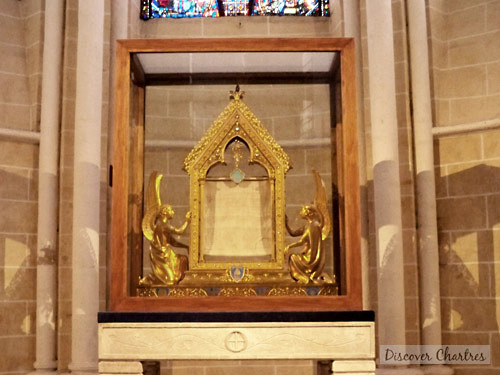 The Sancta Camisa (aka Sancta Camisia or the Veil of the Virgin or Holy Shift of the Virgin) was a gift to Charlemagne and then donated by his grandson, Charles the Bald, to Chartres cathedral in 876. 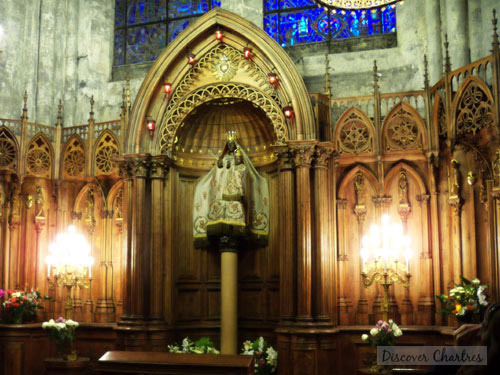 Today the relic is kept at Chapel of Saint Coeur de Marie. The polychrome pear wood statue dates back to the first quarter of 16 century. Mary's crown was added during the papacy of Pius IX in 1855. 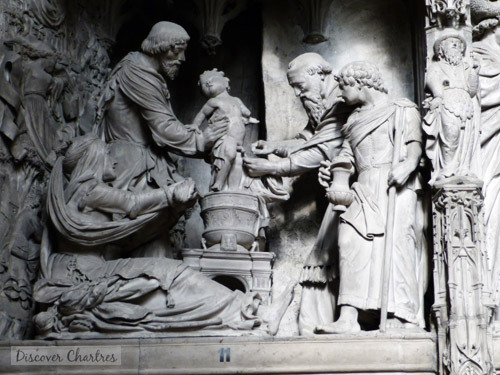 The statue has put down in the crypt during the French revolution and was returned back to its current place in 1806.